While I’m at BlogHer this week, I thought I’d pull a few post out of the archives. This post is also a reminder to me that I need to get my weekly meal planner up are running again! It’s so easy to do and saves so much time and money! I’ve told you how meal planning has really changed the way we live. It’s been both a huge time and money saver for me. I started out using a meal planning service until I could get the hang of it on my own. I couldn’t believe how quick and easy it was to both grocery shop and cook great meals for my family. At the same time, I was saving more and more money each week. Investing in a meal planning service was a huge part in my plan to a better lifestyle for my family. Right now there is a great Plum District deal to get you started. You can get six months of meal planning for only $16. Six months is really all you need to get on your way. Select “Buy” and the deal is yours! Remember, Plum District offers a $10 referral credit for you too! Sign up and tell your friends! They’ll get $5 Plum Dollars toward their first purchase! If you are new to Plum District and use this link the $5 is for you too! 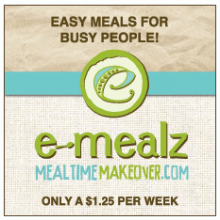 Daily deals Apr 19, 2011 in MealPlanning, PlumDistrict · Expired!